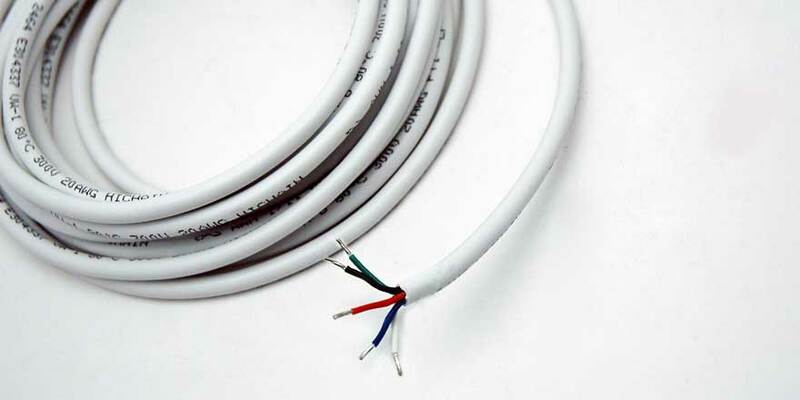 Low voltage RGBW-2464 Wire 20 Gauge / Meter. Comes in 16.4 feet length. RGBW 2464 cord comes with pigtail wires on both end. 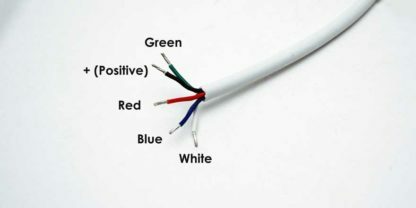 Pigtail ends makes it easier to connect two RGBW LED Strip via soldering. RGBW 2464 cord can also be used as connecting RGBW LED light to power supply and RGBW LED controllers.